Savox SA-1256TG - Great for 30cc! 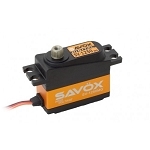 Savox SA-1258TG - Great for high speed! 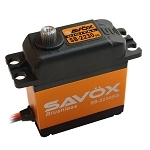 Savox SB-2230SG - HUGE power, great value! Savox SH-0255MG - Micro sized powerhouse! 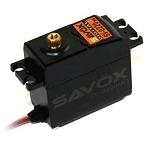 Savox SV-0220MG - A great inexpensive HV standard size servo! Savox SV-1250MG - Unbeatable power and value for 60 size electric! 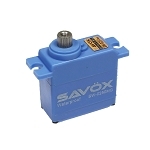 Savox SV-1260MG - The most POWER and SPEED you can stuff into a MINI sized servo! Savox SV-1270TG - Unbeatable value for all sizes! Savox SW-0250MG - Big power, Micro sized!